Not everyone has great credit. Our focus is on the potential car buyer that needs help finding a car that meets their financial and personal needs. We know how difficult it can be to get approved for a car with lower credit due to unfortunate circumstances. Our goal is to turn a difficult situation into a positive one by getting you approved quick and easy, so that you can drive a car that fits all of your needs. We not only pride ourselves on the quality of our vehicles, but we also have a wonderful staff with years of experience in servicing vehicles. This gives you peace of mind when you are on the road. Let us help you get the most out of your investment with quality maintenance when needed. All of our vehicles are thoroughly inspected to the highest standards. With confidence we back all of our vehicles with a 12 month or 12,000 mile limited warranty giving our clients peace of mind in their purchase. We currently have inventory throughout west, central and east Texas at our Stanley locations. If you find a vehicle that is at another Stanley location, we can transport the vehicle to your closest Stanley dealership. If you are in the state of Texas, there’s a Stanley dealership within a comfortable driving distance. 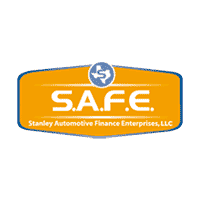 Stanley Automotive Finance Enterprises, LLC (S.A.F.E.) was established to provide a unique, respectable finance solution for its customers even in a difficult credit market by placing them in a quality Stanley Pre-Owned Vehicle that best fits their needs. We strive to meet our customer’s current transportation needs as well as provide a path for their future transportation desires. The Stanley Standard is a process all of our pre-owned vehicles go through to ensure that only the highest possible quality product is sold. This quality is backed by a Stanley 12/12 Limited Warranty we include at no additional charge to the customer. Our vehicles undergo a scrutinizing multi-point inspection. We want our customers to be confident they are buying a reliable vehicle. Our vehicles also experience a detailed reconditioning process which allows us to stand apart from other dealerships. All of this is combined with our competent customer friendly Service Department, located at each dealership. They are there to assist you with all your service needs as well as your normal maintenance upkeep. Our Service departments will help you keep your Stanley vehicle running properly for many years to come. We want to make the Stanley Standard your new standard, when it comes to your car buying experience. We want to Service your finance needs, regardless of any troubled credit past you may have had. We commit to provide you with quality service in all aspects of your transaction, from approval of your financing, to monthly installments, to the next auto purchase of your choice here at Stanley. Credit is a ‘difficult to manage’ necessity in today’s world. Your credit is a primary concern here at S.A.F.E. This is why we will continue to focus on it throughout our relationship. Helping you maintain a positive monthly credit rating at S.A.F.E. is every employees focus. S.A.F.E wants to further assist you by utilizing credit bureau reporting as an advantage that will allow for your continued credit growth and development. Together, we can help build a better credit future for you. Care is what you can expect from a family driven company that has your family in mind. We genuinely care about our customers and want to help meet all their financing needs. The desire to assist is the reason why we created S.A.F.E. We want to work for you, and with you, and provide you the upmost care in all of your business transactions within the Stanley organization. I want you to feel welcomed here at S.A.F.E. for you are a valued customer. You are choosing to do business with a company focused on helping you today and for many years to come. The Stanley family wants to serve you and your family in all your auto needs. We hope to prove our commitment with your first purchase, along with your auto financing, as well as in your future purchases here at Stanley. We promise to continuously strive to earn your business and ensure that you are a satisfied Stanley customer for life. Here at Stanley Automotive Finance we do not believe in burdening the customer with price haggling or bouts of endless negotiations. We know our customers’ time is valuable. That is why our financed units come with the Stanley One Price. The price we list is the best price on that particular vehicle. These vehicles are to be used for our In-House financing program. These units are dedicated units to help people build credit or restore their damaged credit. Our vehicles go through a rigorous reconditioning process to make them stand out above the competition. On top of being very selective about what vehicles we sale, we spend an average of over $1800 per unit to make them the best they can be. We stand behind that work and include a 12/12 Limited warranty in the listed price. At Stanley Automotive Finance, there are no surprises at the closing table. We take great pride in what we sale and we stand by our pricing. Come see them for yourselves and we think you will agree that the Stanley Standard is one to have.